Carole's House of Hope is designed to provide hope and healing for women, mothers and their children through innovative programming and services that promotes self-sufficiency and independence. We inspire women and mothers to discover their individual promise, purpose and power to positively influence their families, impact their communities and change the world. 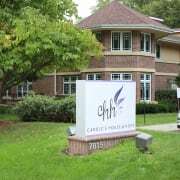 Carole's House of Hope is a transitional living facility located in Omaha, NE. We primarily serve young women (and their children) between the ages of 19-26, many of which have aged out of the foster care system. In addition to providing them with a home, CHH provides programs to these women and their children that contribute to healthy living and ultimately self sufficiency and independence. There are six facets of the holistic program model; social, occupational, spiritual, physical, emotional and intellectual. Would you recommend CAROLES HOUSE OF HOPE INC?